They’ve been called “defiantly lurid” (1000MisspentHours.com), “delightfully depraved” (FlickAttack.com) and “blood-soaked & naked broad-filled” (MrSkin.com). Their cult of fans is worldwide. And for more than fifty years, these four monster shockers from Filipino directors Gerry de Leon and Eddie Romero have stunned drive-in, grindhouse and VHS audiences, became the foundation of infamous exploitation distributors Hemisphere Pictures and Independent-International, and remain among the most insane/esteemed classics in horror history. 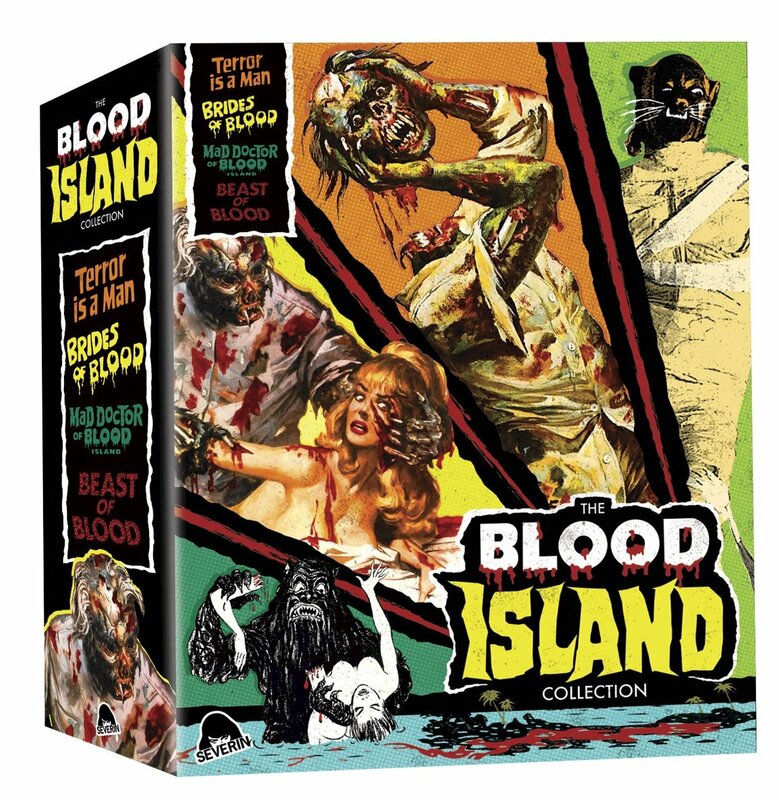 Severin Films is now proud to present The BLOOD ISLAND Trilogy and its celebrated prequel, all featuring uncut scans from recently discovered film elements and oozing with all-new Special Features! Posted in Catalogue and tagged 2018.